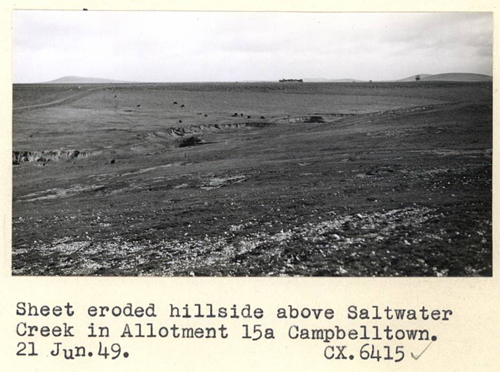 The following photographs were taken in the Campbelltown and Sandon district in 1949. 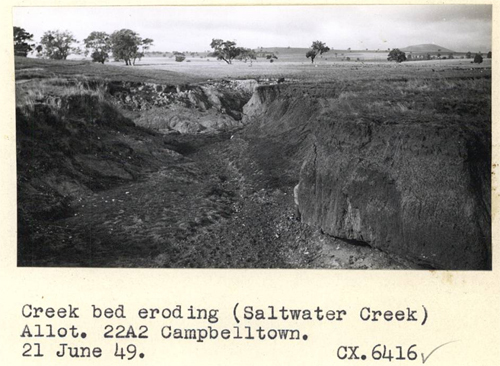 Erosion at Saltwater Creek Campbelltown, 21st June 1949. 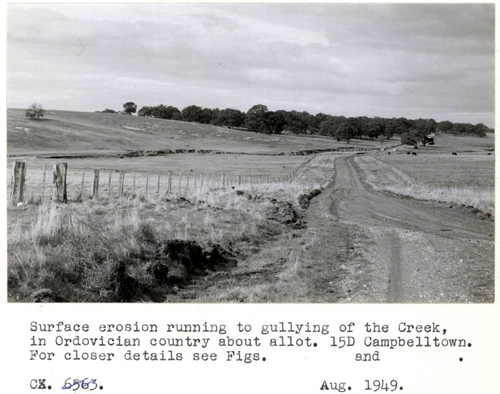 Looking east along Turkey Hill Road at Campbelltown, August 1949. 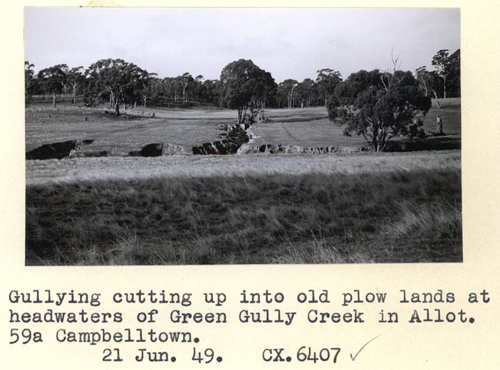 Green Gully Creek @ Campbelltown, 21st June 1949. 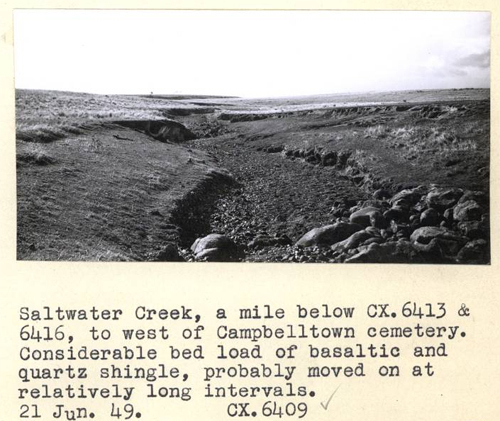 Saltwater Creek @ Campbelltown, 21st June 1949. 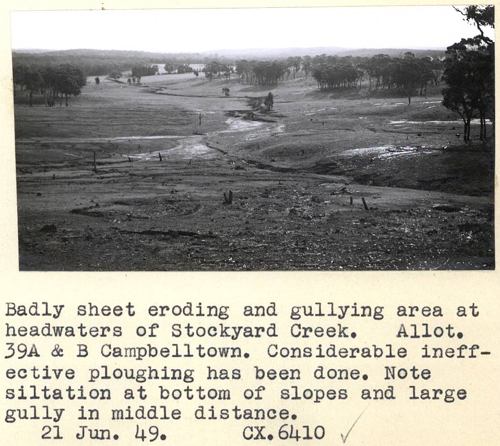 Headwaters of Stockyard Creek @ Campbelltown, 21st June 1949. 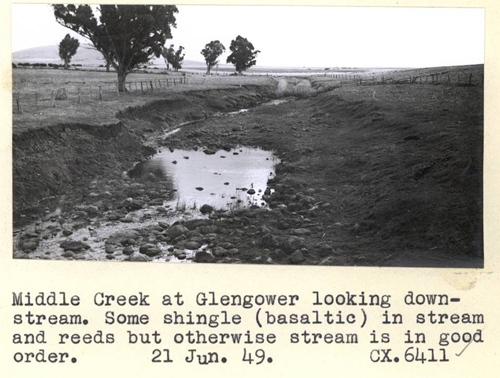 Middle Creek @ Glengower, 21st June 1949. 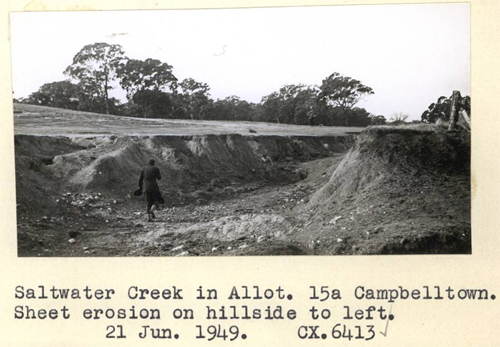 Sheet eroded hillside above Saltwater Creek, Campbelltown, 21st June 1949. 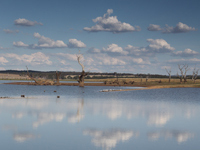 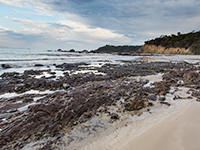 Eroding creek bed of Saltwater Creek.